Bond funds with short maturities allow for excellent diversification. NEW YORK ( TheStreet) -- The Current Yield column in last Saturday's Barron's recapped the action in the bond market from two weeks ago and the impact it had on one bond ETF and a couple of closed-end municipal bond funds. This was instructive as a reminder of what can happen to bond funds when rates go up and worth exploring further. Barron's reported that during the week of March 12, the yield on the 10-year U.S. Treasury went from 2.03% up to 2.29%. As most investors know, interest rates at various points along the yield curve are at or near all-time lows; certainly well below normal as the Federal Reserve maintains a 0% interest policy in an attempt to spur natural economic demand. If rates are low, then prices of bonds and bond funds must be high. Prices can remain high for years but for now they are high and the price movements from two weeks ago for bond funds with longer maturity targets give an indication of what to expect when rates do finally begin to normalize. The iShares Barclays 20+ Year Treasury Bond ETF ( TLT - Get Report) dropped 5.05% the week of March 12. The Nuveen Municipal Value Fund ( NUV dropped 5.57% that same week and the PIMCO 25+ Year Zero Coupon US Treasury Index ETF ( ZROZ fell by 8.9%. A general rule of thumb for individual bonds is that the price of a 10-year bond will drop 8% for every 100 basis point increase in interest rates. This doesn't have to matter for an investor because they will get the par value of the bond back at maturity. Obviously bond funds have no par value to return to. TLT shows a trailing yield of 3.48% which means that the 5.05% price drop from two weeks again equates to approximately 1.5 years of interest (technically a bond fund pays dividends). Of course, interest rates could go down from here which would make up some or the entire price drop in the fund. Unless the U.S. has the same fate as Japan awaiting it, lower 10-year rates are very unlikely and it makes sense to expect that the various liquidity program implemented by the Fed will result in higher interest rates making the price declines from two weeks ago a drop in the bucket. One way to mitigate this risk is to keep maturities short. This applies to both bond funds and individual issues because shorter maturities are less price sensitive to rising interest rates. Most of the larger ETF providers have funds from many bond market segments with short maturities allowing for excellent diversification. For example iShares offers the Barclays 1-3 Year Treasury Bond Fund ( SHY and the Barclays 3-7 Year Treasury Bond Fund ( IEF for shorter Treasury maturities. For corporate bonds, iShares has the Barclays 1-3 Year Credit Bond Fund ( CSJ and it even has foreign exposure with the S&P/Citigroup 1-3 Year International Treasury Bond Fund ( ISHG. Lastly, the company has a suite of municipal bond funds that target individual years. For example, all of the bonds in the iShares 2014 S&P AMT Free Municipal Series ( MUAC mature in 2014. A listing of all the funds in this suite are available at the iShares website. Other fund companies also target varying maturities. 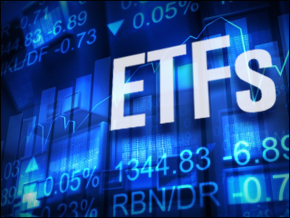 SPDR recently launched the SPDR Barclays Capital Short Term High Yield Bond ETF ( SJNK. Guggenheim launched the BulletShares corporate bond ETF suite several years ago. Similar to the iShares municipal bond funds all of the bonds in the Guggenheim BulletShares 2015 Corporate Bond ETF ( BCSF mature in 2015 and the fund will terminate after the last holding matures. The full rundown of available BulletShares is listed on the Guggenheim website. This is not to say that investors should only own short-dated maturities but the funds mentioned above allow for managing the average maturity of the entire portfolio across multiple bond market segments in a way that did not exist in the ETF industry a few years ago. At the time of publication, the author had no positions in the stocks/funds mentioned.